Nelnet Campus Commerce is a higher education payment solutions company delivering payment technology for a smarter campus. Our product suite uses the latest technology to create a unique and integrated payment experience for more than 900 campuses across the country. Our intuitive and secure solutions are PCI Level 1 validated and integrate with every major ERP. From payment processing and refunds, to tuition payment plans and online storefronts, Nelnet Campus Commerce helps process every payment on campus. 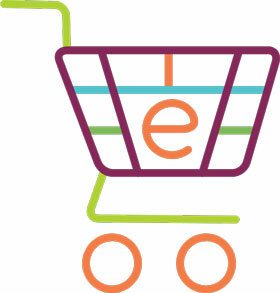 Nelnet Campus Commerce eStore is the host for your smarter, campus-wide shopping experience. With eStore it’s simple to open a secure digital marketplace to sell physical and digital goods, process event registrations, and solicit donations – all within a single, self-service web store with shopping cart functionality, inventory management, and more. For more than 20 years, Nelnet Campus Commerce has offered a powerful suite of payment processing solutions designed to meet the unique needs of higher education. Utilizing a partnership approach, our pledge is to deliver an outstanding implementation experience, exceptional service to students and staff, and innovative products that help your campus succeed.